This June I traveled from Amsterdam, to The Hague, to Brussels, to Bruges and then back to Brussels. The ancient buildings in these old European cities were unforgettable. 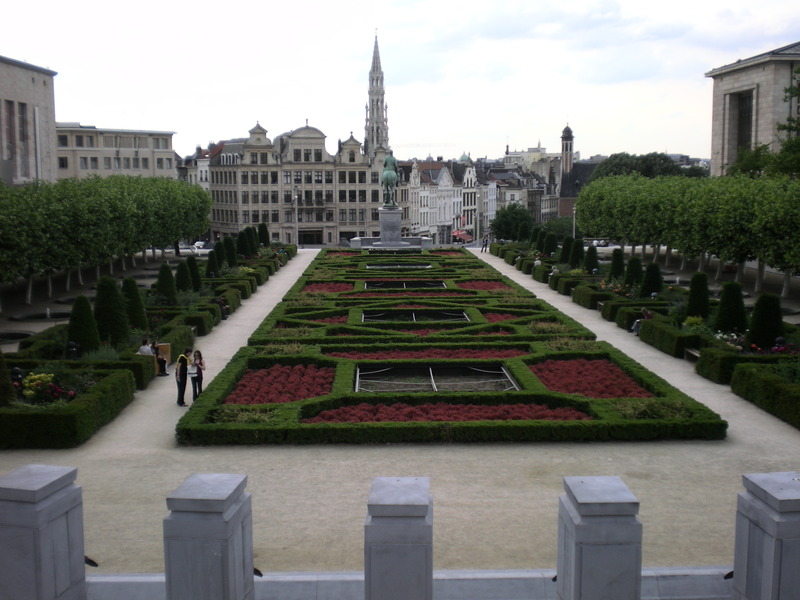 My favorite site was the ruins of the 12th century royal palace (Palais Royal), which was uncovered from below the streets of modern Brussels – I walked on the ballroom floor where the 12th century kings had their ceremonies! There are several travel-friendly techniques for nutrition that I recommend to my students and use myself. I’ll share a few of them below. My vacation exercise consisted of leisurely walks on cobblestone roads, between canals, and in parks with historic statues. It also included running up and down the hills of Brussels, and on the sands of the North Sea – where Bon Jovi happened to be playing in concert as we ran – talk about music to exercise to! Amsterdam – They surely do ride bikes everywhere! Teeny weeny little coffee that we had every day! Another great memory I’ll have of the trip is the final conference call of the first 6-week Mind Body Blast class that I made on Skype from Brussels. Hearing everyone’s success stories from the work they did in the past 6 weeks was really rewarding for me. It was also very rewarding to know that, indeed, this class can be participated in (or given) from anywhere in the world. This snack, brought to the hotel room from the grocery store, saved me from fainting with hunger most evenings! Our daily healthy breakfast of cereal, yogurt, fruit. It kept us going strong all day. A REAL Belgian Waffle – Check out all the fresh fruit (and the teeny bowl of whipped cream on the side)! and a healthy, low cal drink (like water) into your carry-on so you don’t have to eat airport food. Upon arrival to your destination, go to a local grocery store and pick up breakfast food, vegetables and fruit to keep in the hotel for snacks and appetizers. This enables you to eat healthy, eat enough, and save money. Before visiting a new city, research online or by book (my favorite book the lonely planet guide) restaurant information so you can have some healthy food options. No matter where you are it can be hard to find restaurants that serve the types of healthy dishes that we need to eat daily. So, a little pre-planning will take you far. Finally, don’t find yourself famished at a restaurant with no healthy food choices because you’ll eat all the wrong stuff. So, keep healthy snacks on hand and eat regularly. You don’t want to be caught off-guard and be forced to make a food decision that you regret later. Eating something healthy before going out is a great idea even when you are not traveling!